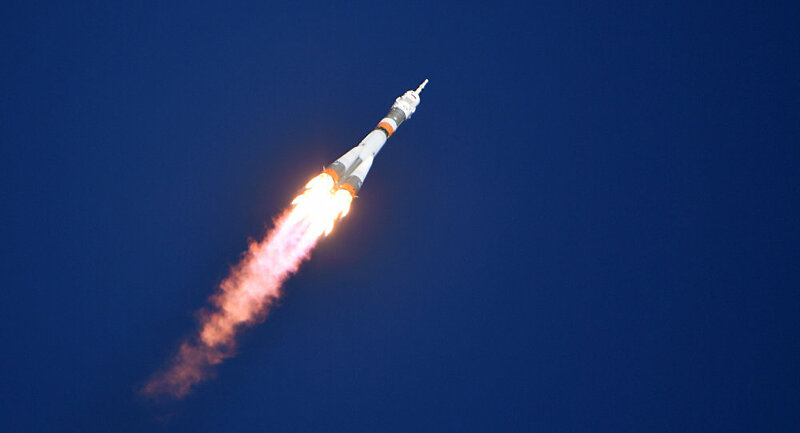 The Russian manned Soyuz spacecraft will perform record-long missions to the International Space Station (ISS), lasting for seven months, this year, a source in the aerospace industry told Sputnik. "Soyuz MS-12 is to be launched on March 1 and is to land on October 3 with the mission duration of 216 days. Soyuz MS-13 is launched on July 6 and lands on February 6, 2020, with the mission duration of 215 days," the source said. The official added that Soyuz spacecraft usually spent around 200 days docked to the ISS. Soyuz MS-12 is expected to deliver a crew comprising a Russian cosmonaut, a US astronaut and the first ever astronaut from the United Arab Emirates (UAE) to the space station.